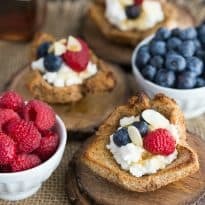 I was looking for Valentine’s Day recipes and I found a recipe for French Toast Cups on the Food Network Canada site that looked absolutely divine! It’s a perfect Valentine’s Day breakfast to serve to your sweetheart. Not only is it easy to make, it also tastes decadent. It makes 4 individual cups so if you need more than I would double the recipe. Easy to make and delicious to eat for breakfast! Pre-heat oven to 375°F. In a bowl whisk together the egg, egg white, milk, cinnamon and honey. Spray a muffin tin with vegetable oil spray. Dip each slice of the bread into the egg milk mixture and press it into the muffin tin. Bake the bread for 12 minutes until crisp. Meanwhile, in a small bowl mix together the ricotta cheese until smooth. 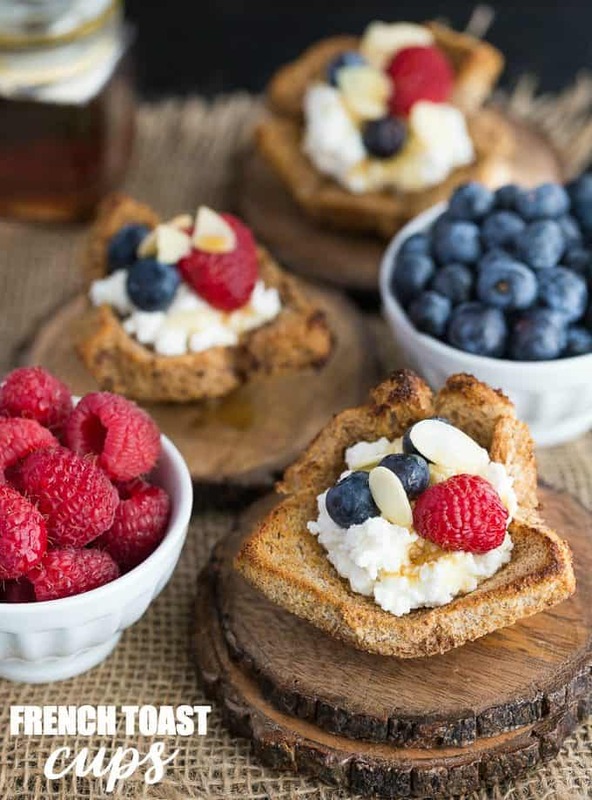 Spoon equal amounts of the ricotta mixture into each of the bread cups, top with berries, sliced almonds and lastly drizzle maple syrup of the top. 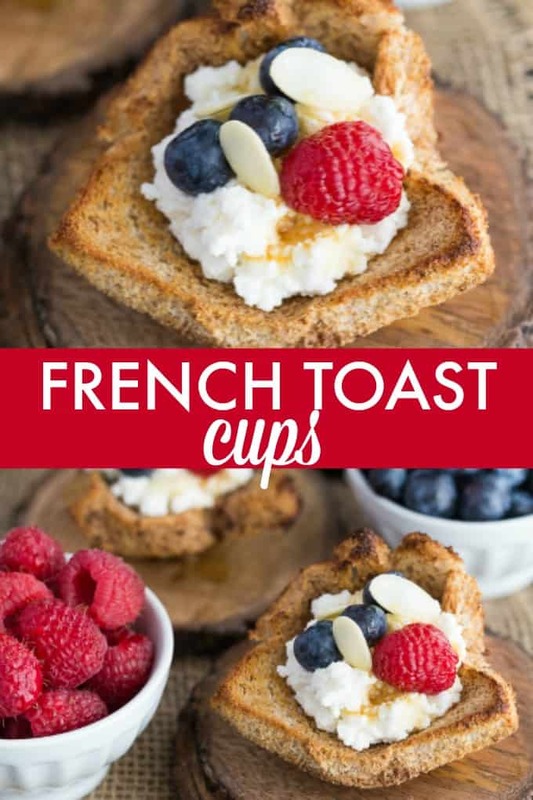 I love French toast and look forward to trying it this way! These look delicious!!! Can’t wait to make them for my kids! Yum! These sound delicious! Thanks for linking up with Merry Monday this week!